Beautiful home on Sand Bay. Suitable for 2 families or a large group – sleeps 10. The main house consists of a spacious kitchen, dining room, and living room combination that looks out onto SandBay. 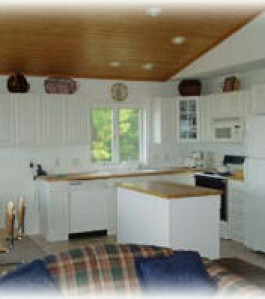 It is fully equipped with dishes, pots & pans, dishwasher, microwave, TV, VCR/DVD, satellite dish, and high-speed internet. 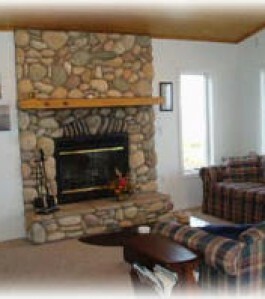 It has a wood burning fireplace. 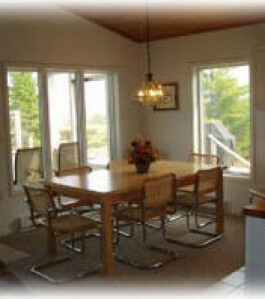 Spacious living room, dining room and kitchen combination with a panoramic view of Sandy Bay. 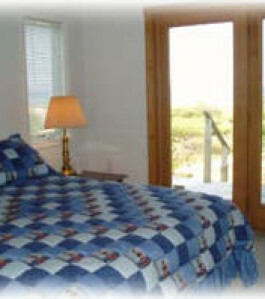 Master bedroom with view of sand bay. Second floor apartment living room and kitchen area with view of sand bay. 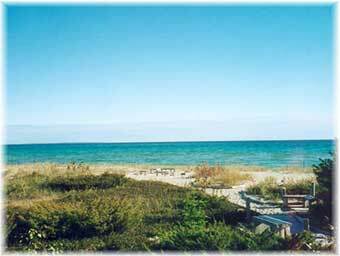 There are two bedrooms with queen beds, two baths, and laundry facilities. 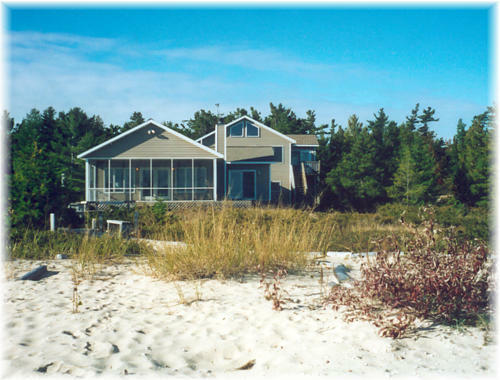 Outside, a screened porch, warm-water shower, Weber BBQ, and a beachside fire pit. 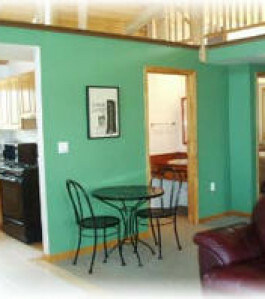 The second floor apartment is fully self-contained with a living room, full kitchen, three bedrooms and a full bath. Two of the bedrooms have queen beds and one has two twin beds. 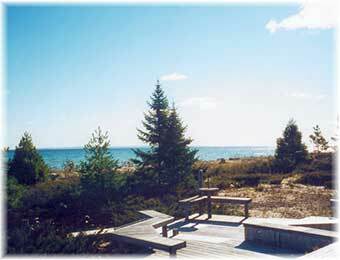 The living room as well as a deck looks out onto Sand Bay. Sorry no pets. $2100/week for July and August. Lower rates- $1500 in the spring and fall.